Australian YouTube star Troye Sivan, who has 3.5 million subscribers to date has released his highly-anticipated follow up to his TRXYE EP, which was released last July, to great praise and reviews amongst both his fans and the critics. This EP features six new songs and collaborations with some top and upcoming artists. The record opens with title song 'WILD', about someone who is all he thinks about, matched with a funky and irresistible pop beat is the perfect song to set a great standard for the rest of the EP. 'BITE' is a slower song, raw and honest - straight from the heart, something Sivan is a master at and the nursery rhyme beat will make this song a hit for sure. He teamed up with pop-group Broods for the more upbeat track 'EASE' and this duet takes the EP to the next level, as the perfect harmonies of both of their voices in the verses and choruses will make you have the song on repeat for the rest of time. 'DKLA' is featuring Australian upcoming artist Tkay Maidza, who contributes rap to this song, a good and welcome change, used to mix things up a bit and show that he can include a variety of genres into his music and not ruin it, like some artists have done. Overall, this EP is definitely one to add to your music collection if you want both a mix of peaceful and upbeat songs with relatable lyrics - showing once again that the Internet celebrities of this generation can create great and meaningful music. 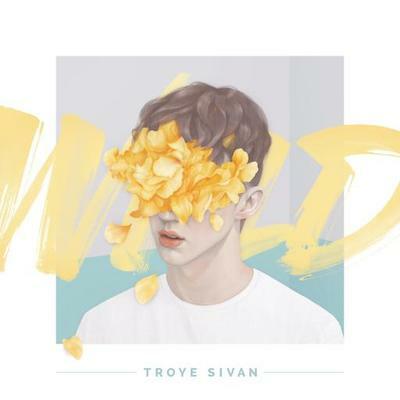 You can purchase 'WILD' on iTunes here and Amazon - (UK | US). Watch the video for 'WILD' here. You can also follow Troye on Facebook, Twitter, Instagram and subscribe to his YouTube channel for more of what he's up to. Don't forget to follow me on Bloglovin' to keep with my posts and read about a new Featured Artist every Wednesday.